Plate 20. 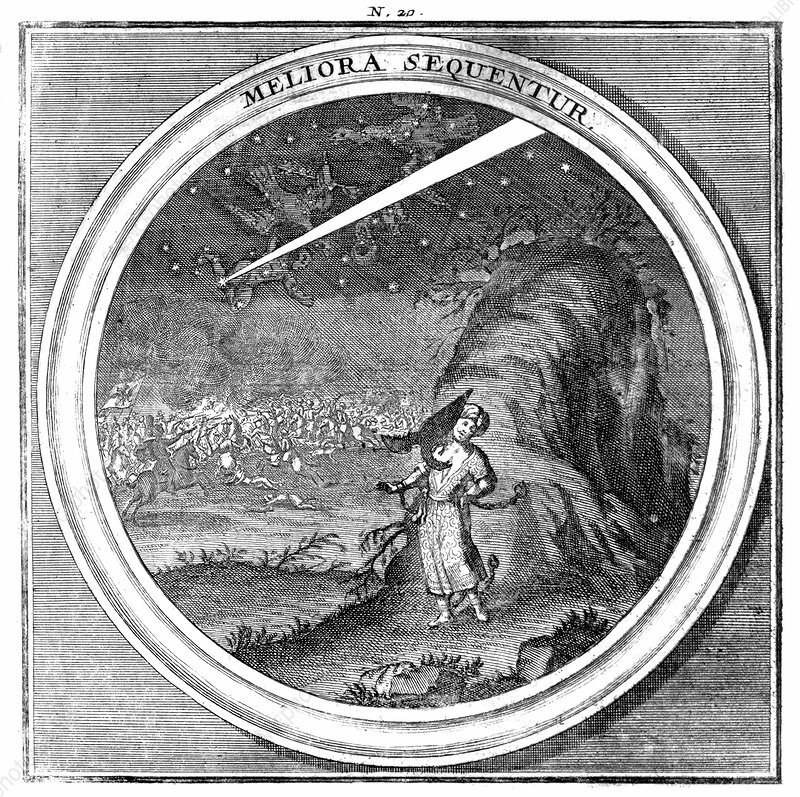 Meliora sequentur. Franz Reinzer (1661-1708) was an Austrian Jesuit professor of rhetoric, philosophy, and theology. His Meteorologia philosophico-politica, in duodecim dissertationes per quaestiones meteorologicas & conclusiones politicas divisa, appositisque was first published in 1697. A third edition was published posthumously in 1709. Meteorologia philosophico-politica is a meteorological, astrological, and political compendium. Subjects covered include comets, meteors, lightning, winds, fossils, metals, bodies of water, and subterranean treasures and secrets of the earth. Illustrations in the 1709 edition were done by Wolffgangus Josephus Kadoriza. Rare Book and Specials Collection, Library of Congress.